Hi Carlos! very interesting choice of subject today! Everyone looks like they are having so much fun! I love how you chose to reflect the scene instead of hit it straight on...It's great! Good job! Hi I am back. I have to thank all faithful reader for kind comments. I have been so busy that I haven't got much time to answer. Thanks Lisi for your visit and remark. In fact they were, Anne. I am glad you like the subject. Hello Candice and Megan, I appreciate that. Nice image Carlos, an unusual perspective. Em sembla una molt bona composició....L'angle és perfecte. Felicitacions per la teva labor, fent conéixer Barcelona cada cop millor! The reflections are terrific. I particlarly like how the water comes into shot. Nice one Carlos. Great shot! Is the wooden submarine still there? The reflection and angle are very interesting. 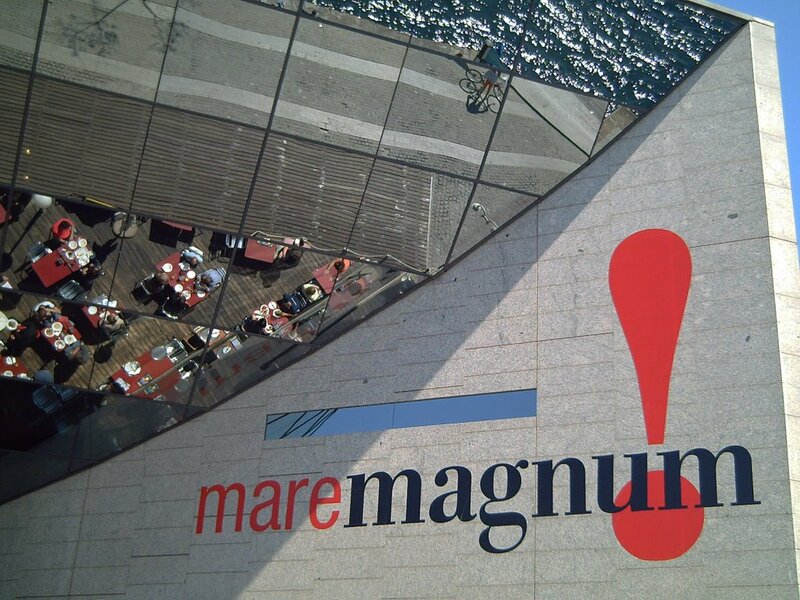 Hope you're not offended if I say I found Maremagnum the most boring place I visited in barcelona. Just one more homogenised shopping mall and Imax screen . . . Thanks John, Rodney, Denton, and Sally. You maybe right Sally. But depending on what you do, buying, eating, or just going for a walk. I appreciate your spontaneous opinion.